A month or so after the birth of baby #4 a friend suggested I start a blog. I was intrigued. I knew nothing about blogging but I loved the idea of an outlet, a chronicle of the thoughts and ideas inside my head, a possible space to log all my mumma knowldge – actually I was severely short on word quotas at the time due to only having 4 small children to converse with and Facebook doesn’t have enough words in a single post to use them all up. Seriously though, it is so easy to lose yourself in being someone else’s person, daughter, sister, wife, mother (x 4). I missed myself just being me. 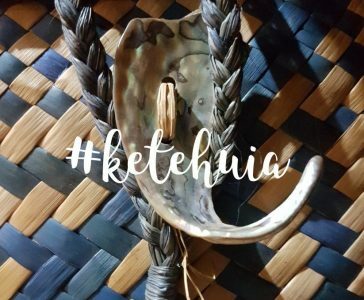 Are you wondering where the name of my blog “Huia’s Basket” and brand “ketehuia” came from? How do you say that word ketehuia anyway? Just tap the links on the words for pronunciation and read on for enlightenment!